A guide from the Woodruff Library on how to cite your sources and avoid plagiarism. 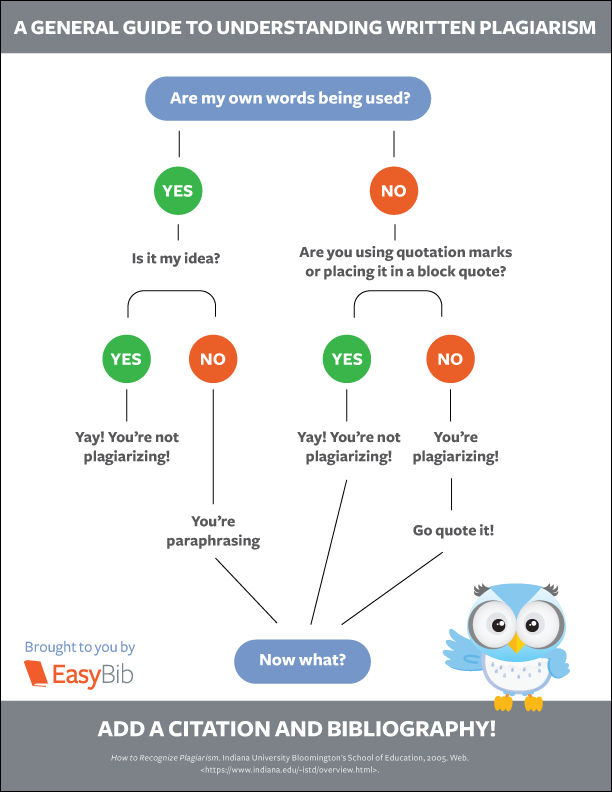 Everything you need to know about what plagiarism is and how to avoid it. Written or spoken words, phrases, or sentences from any source, used without proper documentation. Summarizing without proper documentation (usually a citation) ideas from another source (unless such information is recognized as common knowledge). Facts, statistics, graphs, pictorial representations, or phrases without acknowledging the source (unless such information is recognized as common knowledge). Submitting work simultaneously presented in two courses, unless permission is granted by the both the instructors. Submitting work, either in whole or in part, created by a professional service and used without attribution (e.g., paper, speech, bibliography, or photograph). These videos explain what plagiarism is and gives examples.